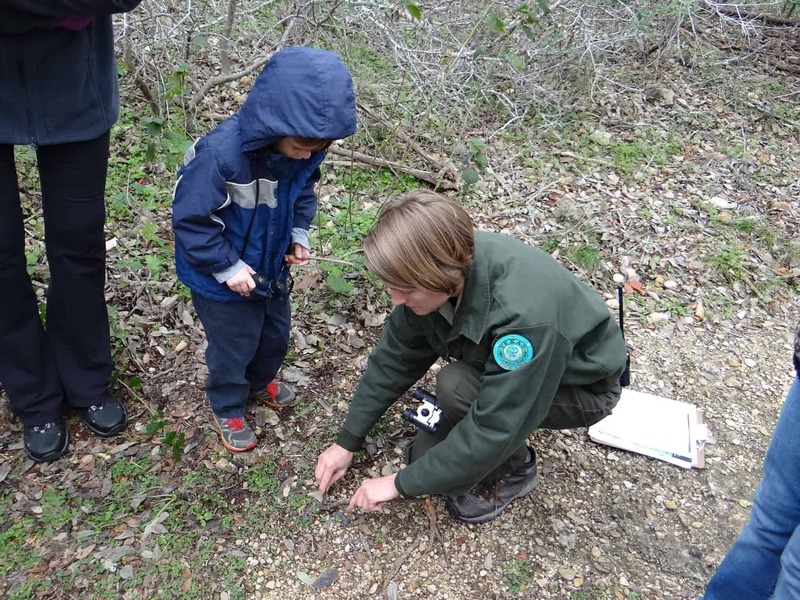 Experience Lockhart State Park as an outdoor classroom in this program for school-age kids! Registration required. Lockhart State Park’s homeschool program is a set of outdoor classes designed for homeschool kiddos grades 1-5. Classes are held on the 2nd week of every month, and you can choose between Tuesday at 10am, Wednesday at 2pm, or Thursday at 10am. The topic for each month will be unique, so don’t miss out! February’s topic is Geology. Join us to explore different rocks and minerals and take a geology hike! Students must register online to participate in this program. Please register only if you’re sure your student can attend, and if your plans change, please cancel your registration so another child can have that spot. Prepare: Dress for the weather (sturdy shoes and layers recommended) and bring water. Meet: Meet at the Creekview Trailhead. If driving from park headquarters, take your first left-hand turn, pass the campgrounds, and park along the paved loop. Fees: The class is free with entry to the park. Regular park entrance fees are $3/adult, free for children 12 & under.